This is salellite site of our UV LED (DoUVLEDs）products. We DOWA have the unique technology for Gallium, Indium, and other high purity metal products, GaAs single crystal substrate, and red through NWIR LED (660nm ～ 1650nm) as well. Please visit to check in detail from the links rightward. Please visit our booth at LASER World of PHOTONICS CHINA! We display our GaAs substrate, Deep UV LED products and IR LED products. We are really looking forward to meeting with you soon! Please visit our booth at Sensors Expo! We display our Deep UV LED products and IR LED products. We are really looking forward to meeting with you soon! 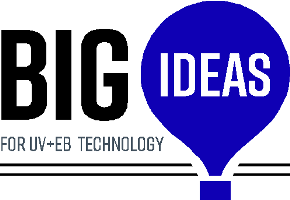 Please visit our booth at BIG IDEAS for UV+EB Technology! We display our Deep UV LED products such as bare chip, SMD, TO-CAN package. In addition, you can find the application product like high power UV-C array modules and final products. We are really looking forward to meeting with you soon! Please visit our booth at PHOTONICS WEST! We display our Deep UV LED products, IR LED products, and GaAs substrate. We are really looking forward to meeting with you soon! Please visit our booth at electronica 2018! We display our Deep UV LED products, IR LED products, and GaAs substrate. We are really looking forward to meeting with you soon!